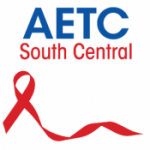 The AIDS Education and Training Center (AETC) Program is the training arm of the Ryan White HIV/AIDS Program (RWHAP). 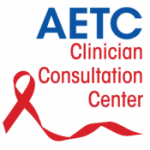 The AETC Program is a national network of leading HIV experts who provide locally based, tailored education, clinical consultation and technical assistance to healthcare professionals and healthcare organizations to integrate high quality, comprehensive care for those living with or affected by HIV. HIV care is a complex, challenging field, and ongoing, high-quality training and support is essential for clinicians caring for people living with HIV. 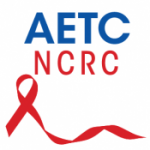 The AETC Program was established in 1987 by the U.S. Department of Health and Human Services (HHS) Health Resources and Services Administration (HRSA). It is administered by the Division of Training and Capacity Development in the RWHAP of HRSA HIV/AIDS Bureau (HAB). The RWHAP provides HIV-related services to more than half a million people each year who do not have sufficient health care coverage or financial resources to cope with HIV disease. The RWHAP fills gaps in care not covered by other sources. 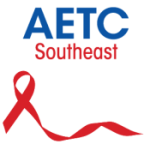 The 8 Regional AETCs administer training programs through local partners, serving all U.S. states, territories, and jurisdictions. To request training, capacity building, or technical assistance, contact your regional AETC office. 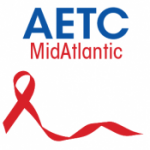 The MidAtlantic AETC serves Delaware, District of Columbia, Maryland, Pennsylvania, Virginia, and West Virgina through its central office and local partners. 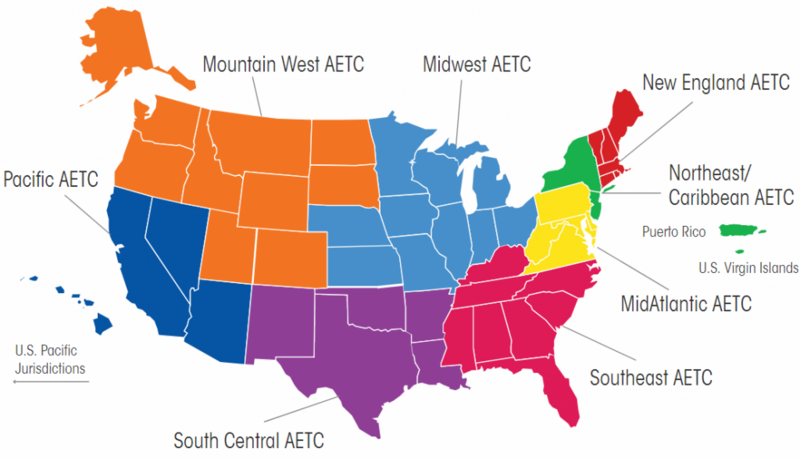 The Midwest AETC serves Illinois, Indiana, Iowa, Kansas, Michigan, Minnesota, Missouri, Nebraska, Ohio, and Wisconsin through its central office and local partners. The New England AETC serves Connecticut, Maine, Massachusetts, New Hampshire, Rhode Island, and Vermont through its central office and local partners. 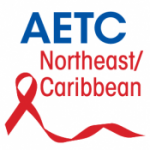 The Northeast/Caribbean AETC serves New Jersey, New York, Puerto Rico, and the U.S. Virgin Islands through its central office and local partners. 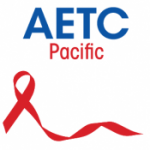 The Pacific AETC serves Arizona, California, Hawaii, Nevada, and the 6 U.S.-affiliated Pacific Jurisdictions through its central office and local partners.